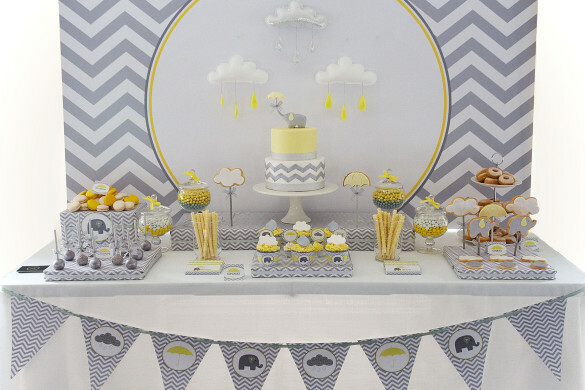 A baby shower BBQ involves throwing a baby shower with an outdoor BBQ event. 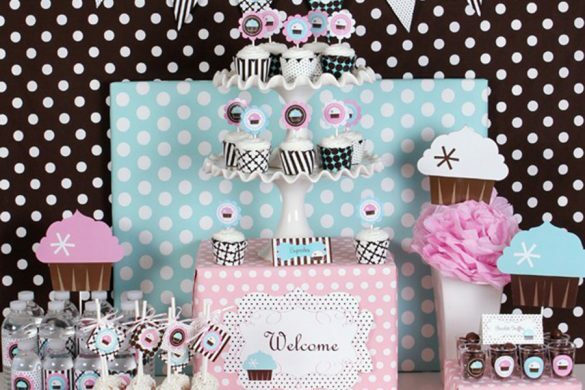 What could be more fun and more interesting to guests than a Barbecue themed baby shower? 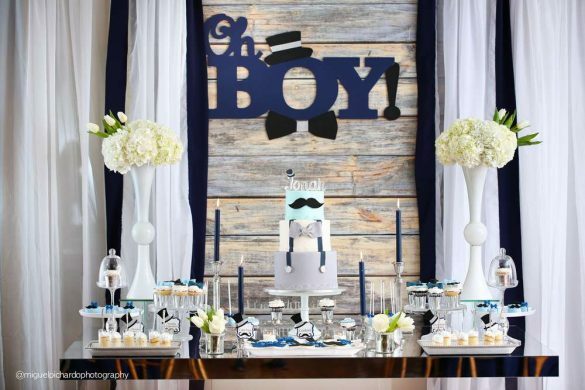 Dads or new dads will surely love to host this fun and tasty event! 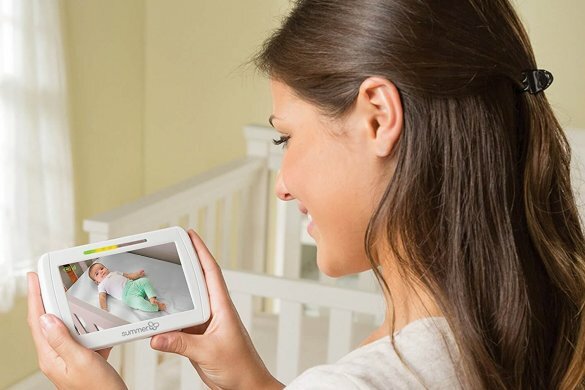 Moms or moms to be will love to eat for two! 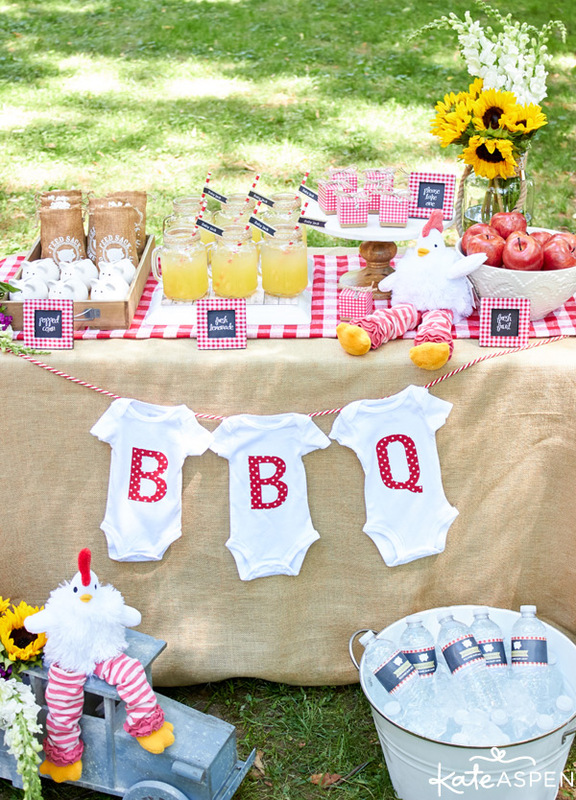 Here are some great ideas that will make your BBQ baby shower the most memorable one ever. Let’s start with the event invitations. 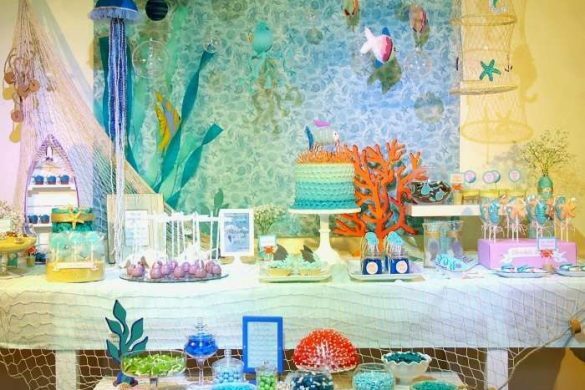 Invitations for this kind of event are more adult-themed. 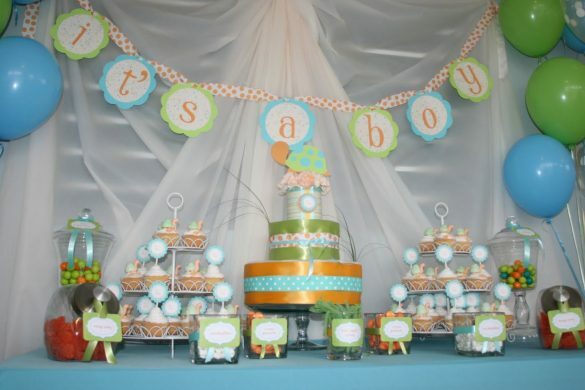 The invitation colors can be coordinated to the gender of the baby. Or you can get creative and come up with you own clever captions or acronyms. 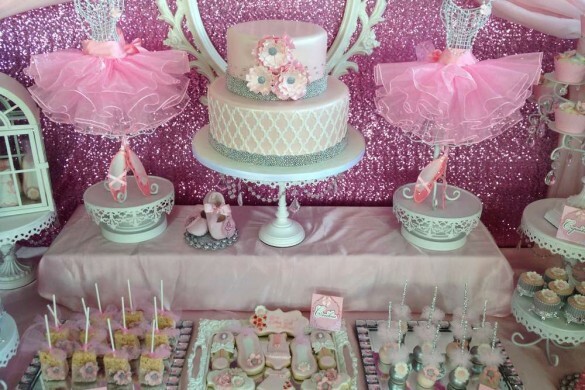 There are invitations that you can find online. If you wish, you can make your own with the word processor on your computer. 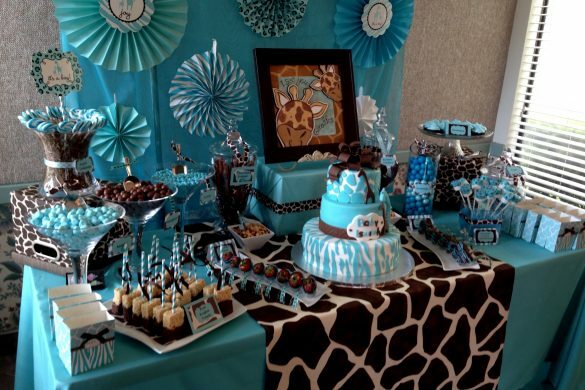 Doing them yourself definitely saves you time and money and would be a great way to show off your creative side. 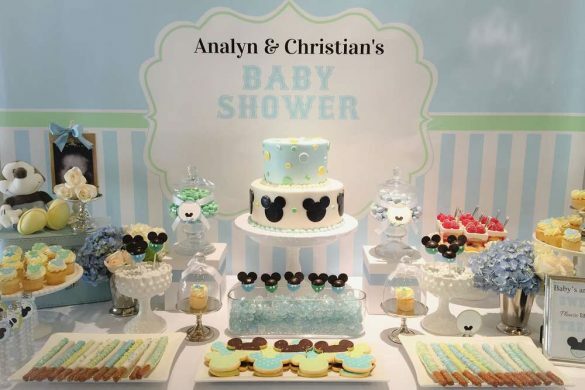 After you make your invitations, the next stop is figuring out your baby shower BBQ menu. Of course barbecued foods are your main dishes but what about your sides? 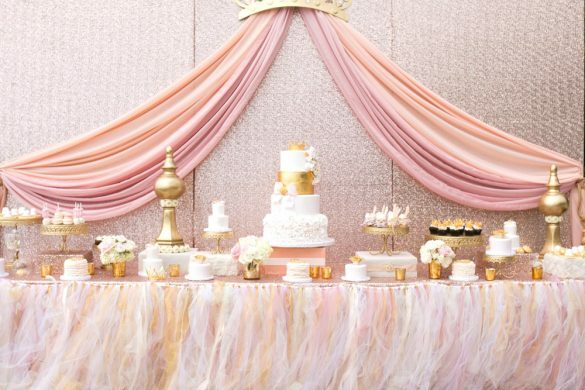 Your main course could be BBQ ribs, chicken wings, sea food, fish, or pork. You side dishes can include carrots, coleslaw, red cabbage slaw, potato salad, BBQ corn, and veggies. 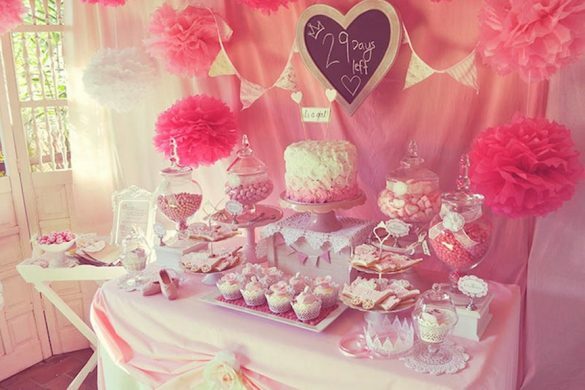 There is always room for dessert at a barbecue event. Of course what would go better with these dishes than beer! 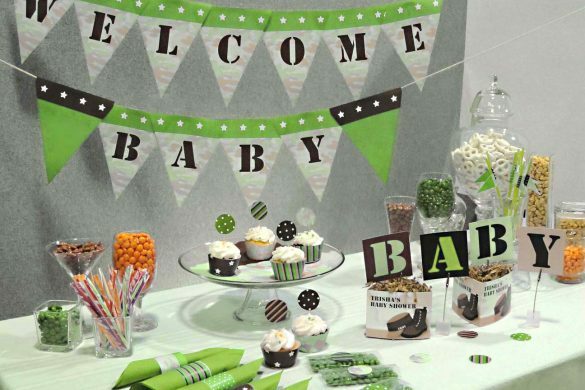 Baby showers are joyous occasions after all and beer definitely makes for a great celebratory beverage. 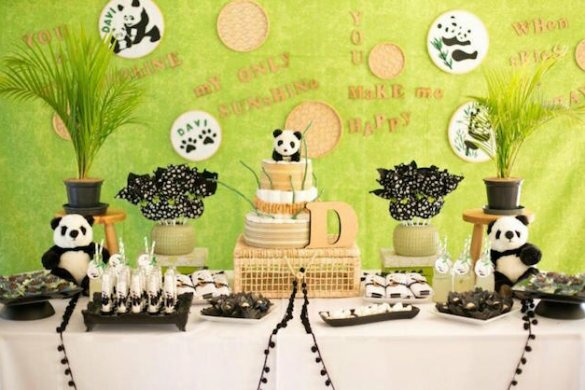 What about your barbecue decor and venue? Barbecue parties should be near the grille and so the best spot is your backyard. Fill your yard with colorful ornaments. 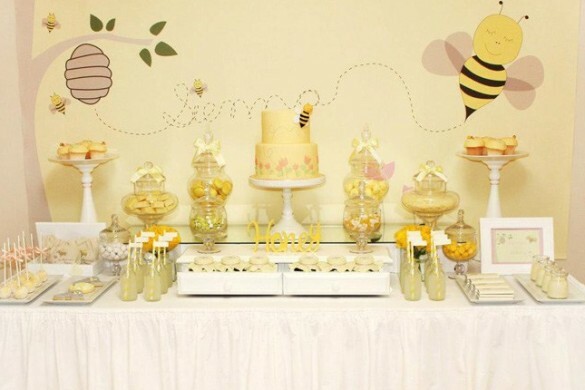 Include glass lanterns, balloons, your baby shower banner, and some celebratory lights. String Christmas LED lights all over the place and of course do not forget the music! 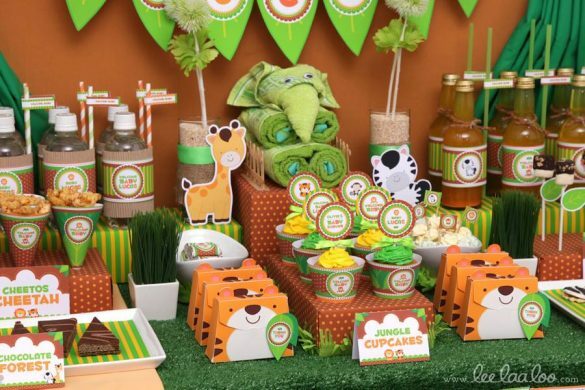 Your backyard baby shower BBQ wouldn’t be complete without your party favors. There are lots of ideas that may come to your mind. 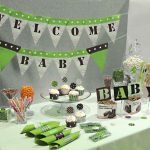 For an adult-themed baby shower, you could give away baby shower root beer bottles, special canned food, or barbecue sauces. 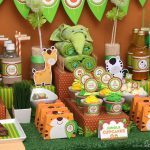 A BBQ theme is definitely a different theme for a baby shower, but it’s also a fun and laid back one!